I have TWO copies available for this title, which I reviewed here. CONTEST IS NOW CLOSED. THANK YOU, EVERYONE! 1. Leave your first name and email in the comments below — i.e. Meaghan, info [at] mwgerard [dot] com. This is the email I will use to contact you if you are one of the two winners. 2. Tell me (and others) why you love Jane Austen. It could be a favorite book, or a favorite character or just a fun fact about her. 2b. (Optional, earns extra entry for each posting) Tell fellow Janeites about this giveaway. Tag with @cineastesview and #Austen. THIS GIVEAWAY IS OPEN TO RESIDENTS WITH A MAILING ADDRESS IN THE CONTINENTAL US. Contest is open until Monday, January 13 at 6 p.m. EST. Winners will be contacted for their mailing address and will receive the book directly from the publisher (Thanks, Carolyn!). I love Jane Austen because no matter how many times I read her books, every time feels like the first one again. I love Jane Austen because she so accurately describes human nature! 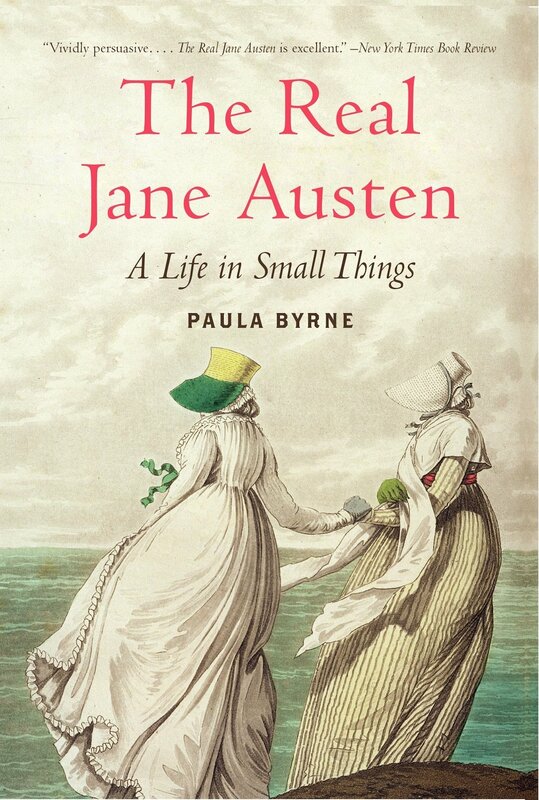 No matter the situation there is almost always a Jane Austen quote that applies – and most likely makes me laugh. I guess my question would be what is there NOT to like about Jane Austen? She understood the vagaries and difficulties of life and seems to have refused to have been mastered by them. I believe she was as admirable a heroine as any to be found in her novels! Hi, I’m Hillary and I’m a new Austen fan! This past year I challenged myself to read the first three of her novels and I fell in love. I don’t know what it is about her but I enjoyed and found each one worthwhile. I think Sense and Sensibility so far is my favorite but I am reading Emma now and it might be the new favorite when I finish it. I’m hoping to read her last three books this year and then maybe try some of her letters and unfinished works. Thanks for having this awesome giveaway! My email is ahorseandacarrot[at]gmail[dot]com. As a voracious reader, I love Jane Austen for her novels as well as the literary legacy she has left behind. I love a good cozy novel, and most all my modern day favorite authors cite her as a major influence on their work. Yay giveaway! I love how Austen went against societal expectations to follow her dreams and turn them into reality. I’ve been to her Chawton home and the museum in Bath and continue to learn more and more about her with every book I read and place I visit. She was truly a fascinating and inspiring human being despite her seemingly common upbringing. My favorite book is Persuasion. I won’t write a novel to explain why, but my blog has a review. Thanks again for the giveaway! My email is lostgenerationreader[at]gmail[dot]com. I shared this on Twitter. Cheers!